Wong (far left) with his team at the KOMACI launch. KUALA LUMPUR (Oct 28): Digital media company Ace Media Network Sdn Bhd has launched a micro influencer platform, a data-driven demand and supply platform for social influencers, named KOMACI. KOMACI is backed by a sophisticated, purpose-built system hardwired to a proprietary data analytics hub and equipped with best-in-class tools to connect the right brands with the right influencers, said Ace Media Network in a statement. “Influencer marketing is becoming a prerequisite for a lot a brands today. However, effective use of this platform essentially boils down to zeroing in on the right influencers for each brands. Relevance is everything. 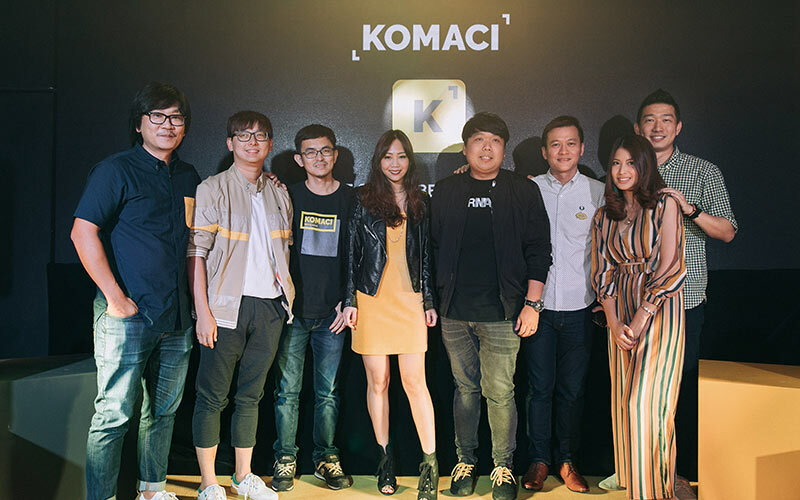 KOMACI allows users to sift and match like-minded influencers and brands within minutes,” said Ben Wong, Chief Executive Officer of Ace Media Network. “KOMACI is largely focused on curating a diverse portfolio of micro-influencers because like brands, influencers come in many different shapes and sizes. Cultivating micro-influencers allows us to more effectively segment our influencers in an intelligent and value added manner. So we can shape precise, relevant and goal-specific strategies to get brand or campaign messages across loud and clear,” Wong added. KOMACI currently features over 3,000 local influencers that cover a wide cross section of lifestyle categories and locations. In the mid to long term, Ace Media Network's goal is to invest US$50 million (RM208.70 million) to fund the company's expansion, with the target to become the region's leading micro-content creator network after having made successful in-roads in Malaysia. With the recent successful commencement of its newly opened office in Bangkok, the company also plans to set up operations in Indonesia, Vietnam, Cambodia and Taiwan by next year. “We want to capitalise on smart devices and mobile applications that are becoming the main source of information for consumers. This means brands have to deliver creative content in bite size easy to digest formats that are visually engaging and tailor-made to cut through the clutter,” said Wong. “Our focus on content resonates in a market space where brands are becoming increasingly fragmented, diverse and specialised. All this requires more content customisation,” he added. In Malaysia, Ace Media Network's established presence in content creation feature leading home-grown lifestyle portals such as Chinese Language ‘88razzi’, and Malay Language portal ‘Rileklah’.